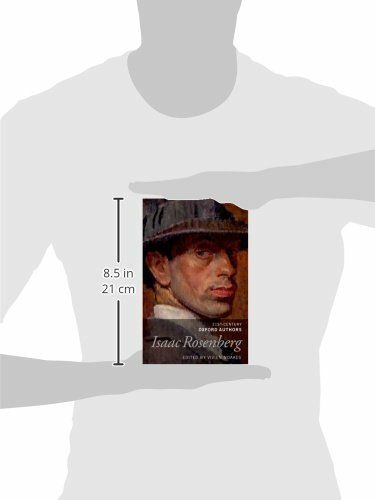 Isaac Rosenberg was born in Bristol in 1890, the son of Russian immigrants; his father was a learned Jew who scraped a living as a pedlar and market trader. In 1897 the family moved to Whitechapel in London’s East End. Isaacs’s schooling was intermittent, but he developed a talent for painting and an interest in writing poetry. He attended the Slade School of Art, alongside Dora Carrington and Stanley Spencer, and in 1912 published, at his own expense, a collection of poems, Night and Day. In 1914, on doctor’s advice, Rosenberg travelled to stay with his married sister in Cape Town and recover from congestion in his lungs. Here he heard news of the outbreak of the war. He returned to London and, despite his horror of killing and the grief of his pacifist parents, he enlisted. In 1916, he arrived as a private in the trenches. By this time he had published a second book of verse and was an accomplished, though unregarded, poet. 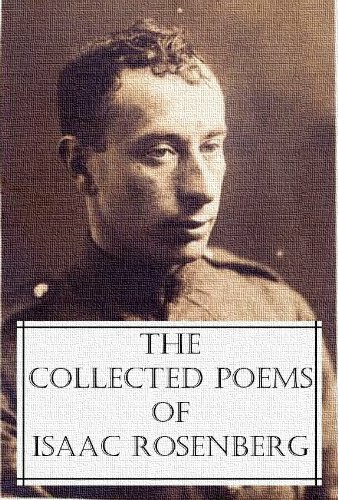 All the poems recorded here were written out of his experience in the trenches; he shared with thousands of other recruits the small and large miseries of his time at the front. But in his case these were magnified by his small stature, the bullying he suffered as a Jew, his ill health, and his absentmindedness, leading to punishment for forgetting orders. In a letter he wrote that Christ had never suffered as he had; towards the end he was breaking down and knew it. 'August 1914' (actually written in the summer of 1916) announces Rosenberg’s presence as a great war poet. In forceful and compressed images, with not a word out of place, this brief poem is a cry of pain for the loss brought on a generation by the war. 'Break of Day in the Trenches' is perhaps Rosenberg’s most well known poem, and justifiably so. Its detail and realism captures the bitter irony of the front, where rats thrive, but men (and poppies) must die. In late 1917, Rosenberg was taken out of the trenches and assigned to a unit whose job was to load barbed wire on to gun-carriages and haul it by mule train up to the front line to reinforce the wire barricades. This prompted him to write 'Dead Man’s Dump'. In a tone of compassionate tenderness rather than anger, it describes what happens when heavy wheels crush the dead bodies in their path. At the end of the poem, there is a soldier who has died only moments before, his arms still raised crying for help. The carriage rolls over him forcing the air from his chest in a last strange cry. The lurid, glinting visual images in 'Louse Hunting', are a reminder that Rosenberg was also a painter. Black humour infuses the portrait of men twisting and leaping to tackle their infestation of lice. But perhaps his masterpiece was the short lyric 'Returning, We Hear the Larks'. It describes just a single moment, but it seems to stand for all his fear and longing, his vulnerability, and his sense that danger is inseparable from the joy of being fully alive. In March 1918, General Ludendorff made a final, doomed effort to break the allied lines and advance on Paris. Rosenberg had returned to the front; his regiment moved forward to meet the German attack. After stubborn resistance over two days, the few survivors in Rosenberg’s company were ordered to the rear and, in the early morning of April 1 , they made their way back under cover of darkness. After a short distance, a runner caught up with them with the news that the attack had been renewed and every man was needed. Isaac Rosenberg volunteered to return and was killed an hour later.